Recently, I had the pleasure of meeting Nigella Lawson. She was here in New York promoting her latest cookbook, Simply Nigella. I bought a ticket to one of her book signings. What I didn’t realize, was that this particular signing wasn’t your typical ‘line up and wait’ for the author to scribble in your cookbook. She began with a live interview! Upon arrival, we were ushered into a small auditorium where Nigella spoke for about an hour. It was like our own private concert. From memory, I think the room only held about 50 people. I sat so close to the stage, I could see her eyelashes flutter! Also, there was an audience Q&A at the end. That was fun. My specific question wasn’t picked (I asked if she was going to film another Christmas special) but it was fascinating listening to her talk in real life. And not on You Tube. She’s actually really funny, by the way. She signed my book, and asked me about The Clever Carrot. We then chatted for a quick 15 seconds. I was hot and sweaty, but somehow managed to keep my cool. Anyway, within the pages of Simply Nigella, one of my go-to recipes is Pumpkin Bundt Cake. In our house, pumpkin is not just for autumnal baking; we enjoy it straight through to Easter. And this cake isn’t dense, intense, and heavily spiced. It’s wonderful and soft, lightly spiced with a hint of orange zest folded into the batter. I deem it ‘celebratory’ to fit the current mood around here. To be honest, I haven’t been doing much cooking at home; we’ve been eating out, visiting family, and celebrating the release of my book (yeah!). But because I find baking therapeutic, I happily whipped this up over the weekend to satisfy our sweet tooth and to fulfill my own creative outlet. You can make this two different ways: bundt cake (as per the original written instructions) or muffins (sprinkled with powdered sugar). Tips: As mentioned above, this cake is not heavily spiced or overly sweet. Otherwise, you wouldn’t be able to enjoy the hints of orange zest and grated chocolate. Let it be. Substitutions: The first time I made this recipe, I didn’t have allspice. But it still came out delicious! I also added 1 tsp. of vanilla out of habit. Make-Ahead: Nigella says that this cake can be frozen (without icing) up to 3 months. Wrap in a double layer of plastic wrap, then foil. I’m assuming the same rules apply to muffins, although I haven’t tried it because the beasts in our house ate everything in sight. No crumbs left! Anyway, to thaw, un wrap and place on a wire rack at room temperature for about 5 hours. Preheat your oven to 350 F. If making a bundt cake, spray the pan with non-stick cooking spray or lightly coat with vegetable oil to prevent sticking. For muffins, line 2 tins with paper liners. This recipe makes about 15-17 muffins. In a large mixing bowl, add the sugar, oil, zest of ½ orange and 2 tablespoons of its juice, and vanilla extract, if using. Mix until smooth. Add the eggs and whisk to combine. Add the flour, baking soda, cinnamon and allspice. Mix until just combined. Don't over mix; the cake will be dry and tough. For a bundt cake, pour batter into the prepared pan. Bake for 45-55 minutes, or until a toothpick comes out clean when inserted. Cool in the pan for 15 minutes. Transfer to a wire rack to finish cooling. For muffins, fill about ⅔'s of the way up, and bake for 20-25 minutes. To make the glacé icing, sift the powdered sugar into a bowl. Gradually whisk in the remaining orange juice until you achieve a thick, yet pourable consistency. To decorate your bundt, drizzle the icing over the top following the natural lines of the cake. I like to wait until my cake is completely cool, this way the icing doesn't soak into the cake too much. Then, grate some of the bittersweet chocolate over the top to finish. 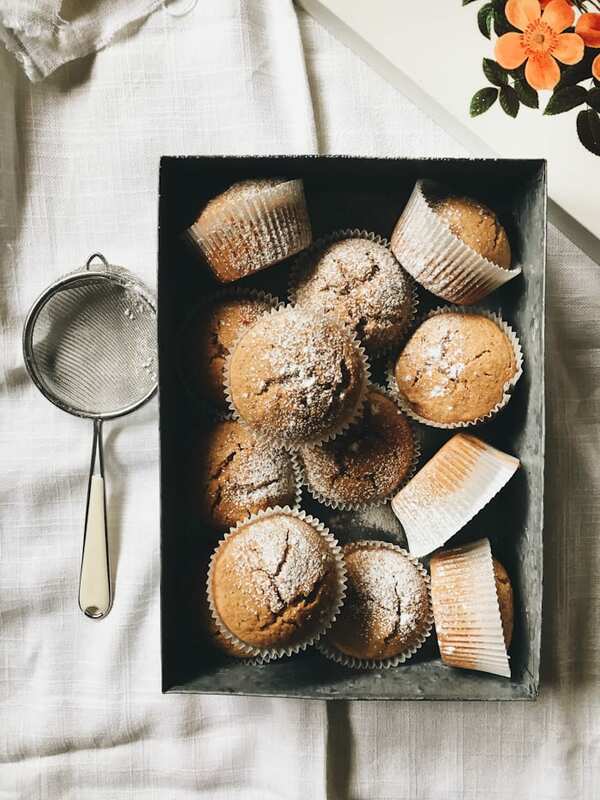 For muffins, decorate with powdered sugar to your liking. Previous Post: « the clever cookbook is here + giveaway! Oh lucky you! I would have loved to meet her. We are similar to you in that pumpkin is an ingredient we use throughout the year. It has so much flavor by itself that I use it in so many ways both in savory and sweet dishes. I love the fact that you made it both as cake and as cupcakes. I usually forget that you can do that. As always, gorgeous photos my friend. She was a pleasure to meet. Very poised, yet full of personality. I was very lucky to be able to attend this event. So true, pumpkin is long forgotten after the Fall. I think we’re all programmed that way, but why can’t we stretch the season through the winter? I like the fact that the flavor is light on the pumpkin. Congrats on the book by the way! I just got mine and I LOVE it!! Well deserved and well done!! This pumpkin cake is a slight departure from what you would normally expect, with subtle notes of spice and flecks of citrus zest. It’s wonderful. The kids loved it too! Celebration indeed! I say you declare 2016 the year of the Carrot in all of her cleverness. Sounds like you held it together beautifully during the book signing – 15 seconds is a long time! it’s amazing what happens to our minds during a starstruck moment – I can usually only muster an awkward stare. The orange sounds like a delicious match with the pumpkin in these baked beauties ~ I would take part any time of year but mostly would love to share a slice (or two) with you, x. 15 seconds felt like forever! When talking to her, my voice became really, really high-pitched… like a little kid. But she just smiled, kept talking and nodding her head (I’m sure she’s used to this kind of thing- nervous audience goers!). And it’s a good thing I didn’t blurt out “I love your Insta feed!! !” You know, like crazed fan? I tried to keep it together. Sort of. It was a wonderful experience. It’s kind of silly that we assign pumpkin such a short season (like, a week), when it’s good all winter long. These look beautiful, and I can’t wait to make them. Congratulations on meeting Nigella! Oh wow lucky you to meet and speak with Nigella..I would have been sweating too. Lol. Recipe sounds delicious and perfect for our Easter buffet. Hello Vickie! This would be a wonderful addition to your Easter menu. 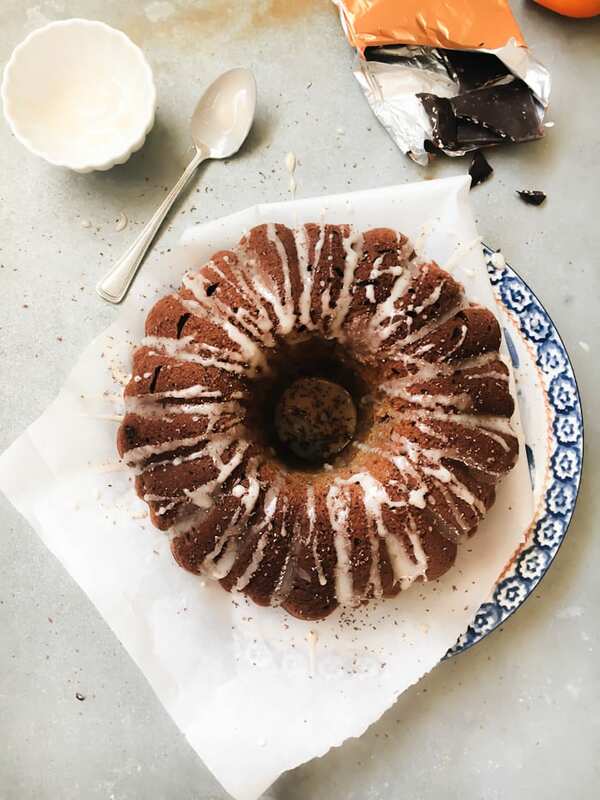 Go for the glazed bundt… it gets better as it sits. I want to make these. My one year old and I love pumpkin so I have been using it a lot still. This recipe sounds delicious. Thank you for sharing!! Hello Jena, thank you! I wasn’t planning on posting any of these images ironically. I was just fooling around, having fun and it took off from there! I bet your little one would like these muffins- my boys love it! I’ve been packing one in their school lunch boxes as a treat. We love pumpkin year round. I still have a stash in the freezer that I roasted, puréed and froze last autumn. Pumpkin bunds cakes and muffins are my go to so this recipe is definitely one we’ll be trying very soon. Congrats again on the book. We have certainly been enjoying it, so far the chicken pot pie and chicken and broccoli stir fry have been huge hits with the whole family. I love Nigella Lawson. She is terrifically witty and intelligent. This recipe sounds wonderful. I have enjoyed lots of her food over the years. About the allspice, it is a funny thing. I had the same experience. Not too long ago I was making a pumpkin cake. I discovered, much to my dismay, that I had no ground allspice. And no working spice grinder either. So I omitted the ground allspice, and the cake was great just the same. So there you go. I would have been tongue tied and made a completely fool of myself!!! Lucky you for meeting her, she is so amazing. Love the muffins and love the picture! This is so lovely!!! Yay for meeting her and talking to her! + this recipe looks so amazing. I love the muffins!! And your photography is just stunning! Lucky you. It must’ve been so awesome to meet her. I missed her when she was in SF. Love the pumpkin cake both ways. Beautiful. How great that you got to meet Nigella – and to hear that she’s funny. Anything with pumpkin is a hit in my book…and speaking of books…congrats again Emilie! Laney, it was such a treat! The event was held right across the street from the restaurant, so I got wind of it right away. Apparently, she speaks there often to promote new book releases. And, she’s even dined at the restaurant (last year). Thanks again! Celebratory cake, indeed! The pumpkin/orange combo sounds downright delicious. Beautiful, Emilie! Thank you Tessa! I was definitely a little starstruck! She has such command and positive presence. ps. I’ve just gone a little mad on your website…so many recipes shall be made this week. Woohoo! What a fun event! That is so cool that you got to be part of a more intimate gathering. I rarely bake with pumpkin after fall, but why?? It’s so good. Every year I channel the hoarder inside me and stock up on pumpkin so that I can bake with it earlier the next year :) This cake is beautiful Emilie! Hello, I just wanted to comment that in your set of instructions you neglected to write about adding the baking soda. Of course it is noted in the list of ingredients but I forgot about adding it when I was mixing up the dry ingredients as I was so focused on reading the instructions. As soon as I pulled the cake out of the oven I noticed it didn’t look right. But I still iced it and served it to my family omitting to tell them about the missing ingredient. Funnily enough, I still got compliments on it especially from my six-year old picky little eater! If this version tasted good then I can’t wait to see how awesome it will be the next time I make it! I went to a similar event here in London where she talked for a good hour, she is so well spoken, beautiful and interesting! I was so happy to see her in real life and so close to her ( I was front row :) ) Didn’t had the courage to queue for the book signing though ! Hello, Iman! That’s wonderful. Wasn’t it exciting to hear her speak? She’s quite funny too. I sat pretty close as well, what a treat! So fun that you got to meet Nigella! :)I am a big fan of using pumpkin all year long and love that you made this cake two different ways. Looks amazing!